According to Sony's quarterly earnings report, the PS4 is quickly dominating records set by its PS2 predecessor. What's the best-selling video console of all time? Right now, there's no contest: It's the PlayStation 2, which sold 155 million units during 13 years of production. Thanks to a combination of advanced (but not too advanced) graphics, third-party support, and DVD video compatibility, Sony's PS2 easily set the benchmark for successful home consoles. 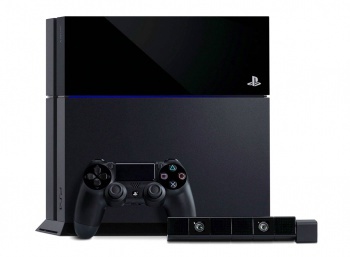 But a surprise challenger might be on the horizon: the current-gen PlayStation 4. According to Sony's quarterly earnings report, the PS4 just reached 25 million sales after twenty months - a feat which took the PS2 almost three years to achieve. Sony's report goes on to note the PS4 sold three million units in the last quarter - roughly one million consoles every month. That brings the grand total to 25.3 million PS4s without a Red Ring of Death to justify additional purchases. Comparatively, the PlayStation 2 sold 20 million console in two years and eight months - a great accomplishment, but one the PS4 is absolutely going to crush. What's more, Sony's revenue shows no sign of slowing down. Thanks to lowered PS4 production costs, the company's profits increased by a staggering 350%, with only 12% more sales from the same quarter in 2014. If this keeps up, Sony's PS4 will be the undisputed winner of this console generation - but we'll have to check back in 11 years to absolutely make sure.